In all of our journeys to Vancouver Island, neither one of us had ever been to Campbell River. We were pleasantly surprised to realize that it was only 30 minutes north of Comox and this convinced us to ensure we found a way to fit it in. Due to the torrential rain storms on the Island, it was a much quicker visit than we originally planned. 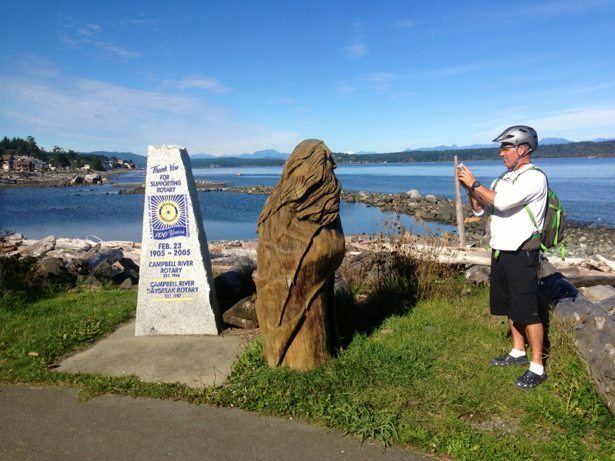 On the 2nd of the only 2 sunny days that were forecasted, we got a decent start out the door for our mountain biking in Cumberland and after a quick parking lot lunch at the end of our ride, we hit the road to Campbell River. Campbell River , known as the Salmon Capital of the World, is a city of approximately 32,000 on the north east side of Vancouver Island, just at the bottom of the Inside Passage water route up to Alaska. It is also a city in transition, moving from traditional Forestry, Mining & Fishing industries to Aquaculture, Agrifoods, Clean Energy and Healthcare. With only an afternoon to explore, we decided to ride our bikes along the waterfront trail to get a sense of the town and the coastal area. It was an enjoyable ride with lots of people out and about. 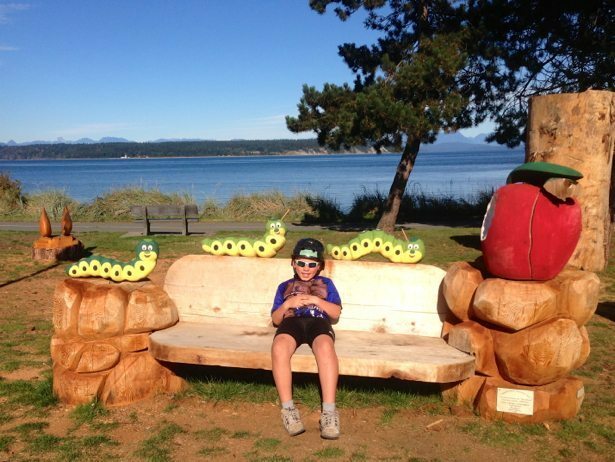 The best surprise were all of the wood carvings along the trail as a result of the Shoreline Arts program. There is an annual chainsaw carving event that is held, open to all to participate, and then the art is displayed throughout the city parks. There were some AMAZING pieces and we really enjoyed checking them out. Our next adventure was a walk through the salmon spawning grounds near Strathcona Park. Being from Whitehorse, where you spend the summers salmon fishing in Haines, Alaska – salmon are not really an impressive thing to us. At the same time, we thought it would be fun to see what the salmon run is like here and how it differs from ours. We wandered along some inland creeks and were really impressed with both how far up the salmon were and the obstacles that they had conquered to get there. 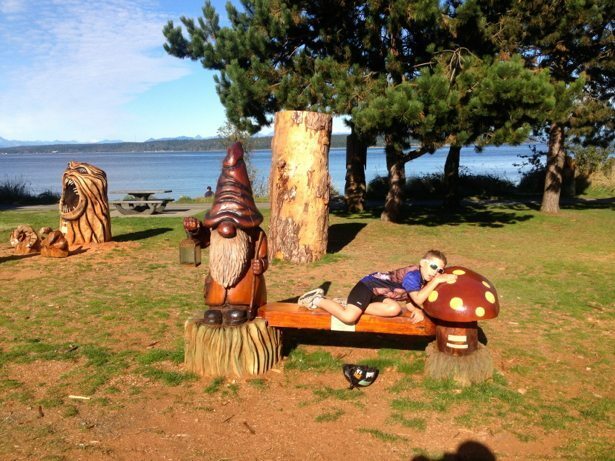 Campbell River is definitely worth the visit. We were sorry we didn’t have any more time to play and look forward to stopping there again some time. Adventures we didn’t get to were; heading to Gold River for some Caving, Adventuring into Strathcona Park to hike and canoe, Mountain Biking on their relatively new trail system.